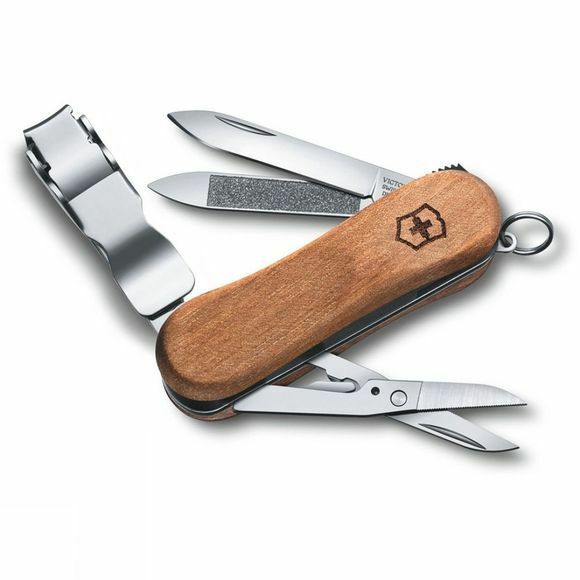 The principle of every Victorinox pocket knife is to provide special functional tools in the smallest possible space. The Nail Clip was produced according to this principle. The development concept is based on a precision tool for manicuring, which can be stored safely and easily. It has become a multifunctional manicure tool that offers functionality comparable to that of a professional tool, whether you're in a hotel, on a trek through the wilderness, or at home. A very special feature is the quick-release mechanism to avoid damage to fingernails when you pull it out.